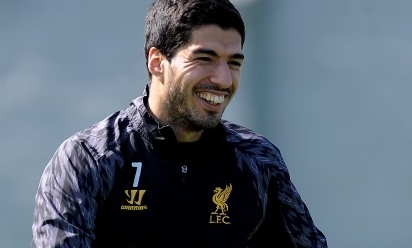 Luis Suarez's outstanding form in 2013-14 has been rewarded with yet another accolade after the striker was named the FTBpro PFA Fan Player of the Season. The Uruguayan fired 31 goals in the Barclays Premier League to take the Golden Boot. He'll also share the ESM European Golden Shoe with Real Madrid's Cristiano Ronaldo. As a result, Suarez has swept up in end-of-season awards. He's been named the PFA Players' Player of the Year, the FWA Player of the Year and the Barclays Player of the Season in recent weeks. Meanwhile, at Liverpool's inaugural Players' Awards Dinner, the 27-year-old scooped the Players' Player of the Year, the fans' equivalent and Goal of the Season. Suarez was voted the FTBpro PFA Fan Player of the Month three times this season - in October, November and again in January. The FTBpro PFA Fan awards are designed to give a strong voice to the supporters who are the lifeblood of the game. The awards are endorsed by the players and supported by the clubs. One lucky fan voter will be chosen to present Luis Suarez with the FTBpro PFA Fan Player of the Season award in person at a Liverpool home game next season. To keep up to date with all the latest news regarding the awards, follow @FTBpro or visit www.ftbpro.com/fanawards.